The project – the reason I was spending so much time on the Island of Ireland – was extraordinary. Breathing new life into an economy wrecked by decades of disregard and battling legions of diehard naysayers was invigorating and challenging. But more than the project itself, I found myself immersed in, mesmerised by, the local way of words – not just the accents but word choices and less inhibited conversational patterns. Beyond marvelling at the quality of conversations – the highly-valued, hugely entertaining, fast-flowing and oft-surreal ‘craic’ – it was the contrast between Irish English and English English that hit hard between the ears. Nowhere was this contrast more evident than in the matter of post-qualifiers – verbal reinforcements that bolster or modify statements. To some it was a mild embarrassment but to my ears entirely natural that ‘to be sure’or ‘so it is’ could be twice repeated to hammer home the positive intent. Not so at home in England where negativity was the norm with a single ‘don’t y’know’,‘innit’or in strangled parliamentary speak, ‘is it not’. That contrast between the double positive and single negative post-qualifiers seemed to speak volumes of cultural variance and, in the context of the project, was a huge contribution to the success of the project and its call for imaginative/brave/fresh thinking. I was reminded of this when writing ‘Word of the Week: Sophistry’– letting off steam as Westminster wrestles with the consequences of addiction to right-headed (AKA wrong-headed) ideology. A colleague working on the Irish project often complained that if stated three times, falsehoods became normalised and regarded as truth. Taking a principled stand against sophistry is always a test of leadership – and in its absence huge damage can be incurred. We’ve witnessed that in the promotion of Brexit but that is only the tip of the iceberg. For the moment, in its 70thyear, the NHS has a temporary reprieve but do not doubt that the destroyers have gone away. Meanwhile the BBC remains a popular target and silence fogs the failures of rail privatisations. In that era of post-privatisations, it was, apparently, entirely ideologically sound to silence any criticism of the lack of full fibre until now when the consequences of underinvestment are becoming apparent. The destruction of decades of public investment on the altar of avarice is rooted in the narrow negativity that prevails over the more forward-looking positivity that we all need to make a difference. To be sure. To be sure. In ‘Feeling the Heat’ I describe the green boxes that deliver an apology for broadband as ‘pavement heaters’ – not least because Roadside Radiators might seem just a little harsh. At the same time it seemed worthwhile explaining why they appear always to be warm, even before they are baked in the sun. But, however described, these green boxes qualify as rather poor ‘installation art’ – self-demonstrative (and, frankly, boring) monuments that disqualify their owners from any future role as a contributor to economic and social sustainability – or, as Greg Mesch (CEO of CityFibre) would say, lacking ‘the vision, passion and determination to succeed’. Aided by the Advertising Standards (?) 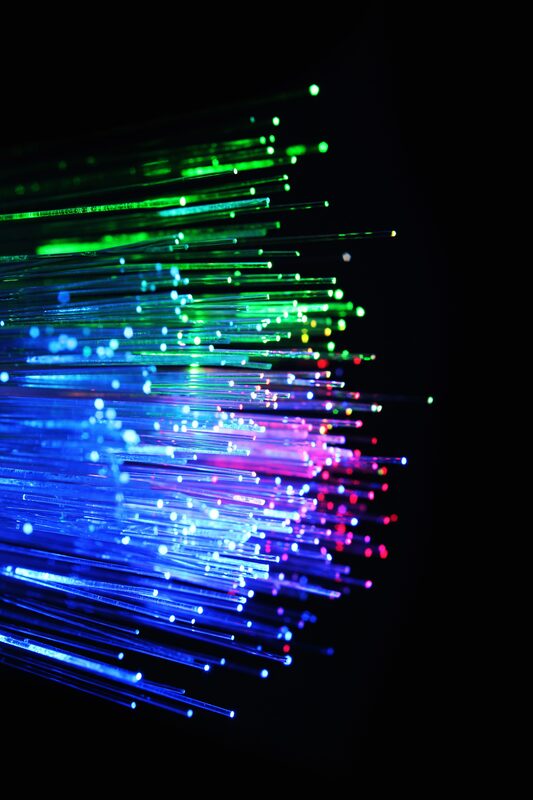 Authority – the folks who misheard ‘Full Fibre’ to be Fool Fibre or Faux Fibre – and Local Authorities for whom the digital dawn has yet to outshine the telephonic twilight – the once vital incumbent has lost the plot. But, at least homeless souls will have warmth next winter as they shelter next to those green boxes. Kate Raworth, the ‘renegade’ economist and author of Doughnut Economics, knows only too well that ideas are born when and where they are needed most. Fresh thinking takes time to be accepted. Darwin’s evolutionary insights are still resisted. Climate Change science still denied. Flat Earth advocates still cling to the edges of their world. It is not enough to gather evidence. Mass acceptance of fresh thinking oft requires a crisis of sufficient scale to overcome complacency. Sufficient scale? Massive impacts for a few may be discounted by those looking at bigger pictures. Responses reflect agency – the ability to make that difference. And therein lies the power of localism – the strength of the place, the community, the neighbourhood. That ability to JFDI. The emergence of Intelligent Communities – places that are not resigned to some externally-imposed fate – reflects locally perceived priorities. These are communities that really do ‘know their place’ and know it in colours, details, depths of complexity – ‘nuanced knowhow’ that often eludes the averaged ‘higher’ authority. BUT (and that’s a big but) the vital essence of such communities is difficult to measure and analyse. Qualitative research methods do not easily answer the question: Why do some places succeed whilst others decline? We can, however, spot the signs – the indicators of prosperity, confidence, wellbeing and community spirit. That is why, over two decades of research, the Intelligent Community Forum has assessed hundreds of places and selected a few as exemplars – communities that may serve as beacons for others. Every year ICF has brought these communities together to share their learning. Until now that global gathering has always been held in North America. 2018 is different. For three days of next week the ICF Global Summit will be held in London. In preparation for that event (and for the benefit of those new to the notion of Intelligent Communities) we started publishing a weekly series of notes covering several of the primary indicators – the signs of local activity that ICF’s researchers have, over the years, seen time and again in the most successful places. All of these themes and their local action programmes (calibrated to match local economic and social priorities) are common indicators of Intelligent Communities. Next week, ICF’s Top7 communities from around the world, together with an array of top flight speakers, will share their experiences with delegates from near and far. The full 3-day programme includes details of evening receptions and, on June 6th, at the Summit Dinner, Melbourne Australia will hand over the accolade of Intelligent Community of the Year to one of ICF’s 2018 Top7 Communities. 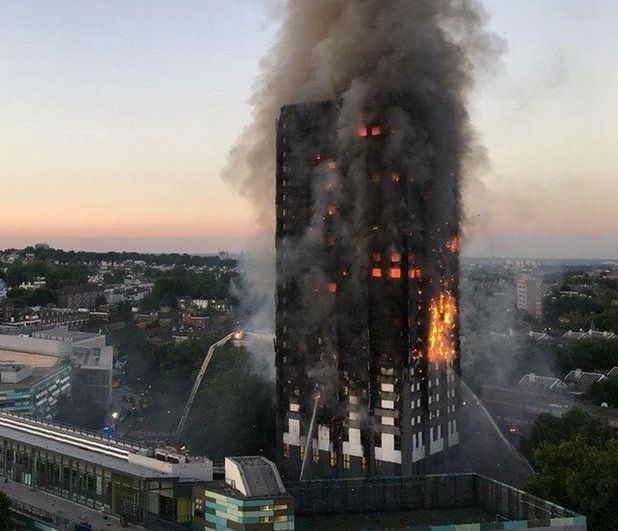 Interviews with survivors of the Grenfell inferno reminded us of the horror and the tragic consequences of an avoidable and predicted disaster. Last Wednesday the UK’s national news media was dominated by two events – the 1st anniversary commemorations of Manchester’s Arena bombing and the start of the Grenfell Tower fire enquiry. Both sobering and intensely local. Both respecting their community responses. Last Wednesday I also hesitated – but not in the face of any disaster. On that day it might have been timely to reschedule the last two episodes of the Knowing Your Place Series. It might, perhaps, have seemed right to bring forward the comments on Resilience and defer the scheduled episode on Sustainability. But no. Manchester’s memorial moments needed no further comment at that sensitive time – the learning can follow. West London’s respect for Grenfell’s grieving will, we are assured, gain the time it deserves. Both are about aftermaths. The ‘Knowing Your Place’ series is more forward looking. I pressed ahead with publication of ‘Keep on Running – in circles’. It’s true that proper local consideration of the need for sustainability can be triggered in the pit of disasters. In Part 8 of the series the primary example is of the renaissance of a rusting and decrepit steel town but, with evidence already to hand, we need hardly wait any longer for the very worst impacts of climate change to strike. We’ve surely already waited long enough. Alfred Russel Wallace (a contemporary of Charles Darwin) wrote of man-made environmental damage in 1898. Working to avoid disasters – to bequeath to future generations an environment in better balance – doesn’t grab media and political attention with the same force as people perishing right now. Two of the leading approaches to ecological sustainability are rooted in science and economics – and are closely intertwined. The economist Kate Raworth questions underlying assumptions and Ellen MacArthur asks how resources can be re-used. The answers are being written not by national governments but by citizens, communities, city leaders and their local universities. If you get the chance to read ‘Running in Circles’, do follow the links to Kate’s and Ellen’s work. Both will inform future communities and city leaderships who do not want to sleepwalk towards disaster. The final part of the series, ‘What If?’ will appear, as scheduled, next Wednesday – just in time to complete this primer ahead of the Intelligent Community Forum’s 2018 Summit in London. Part 2 of our series posted on the Medium Platform reflected on the theme of Connectivity. As we approached the deadline for publication of ‘Connected With Success‘ the editing pace quickened. An earlier draft drew great suggestions from the Steering Group for the 2018 Intelligent Community Forum’s Global Summit in June. First up our friends in the Northwest shouted for inclusion of the Health and Education impacts of future-proofed networks – particularly for remote rural areas. Then we had late confirmation from Sweden that VXFiber’s Mikael Sandberg would also be speaking at the Summit. 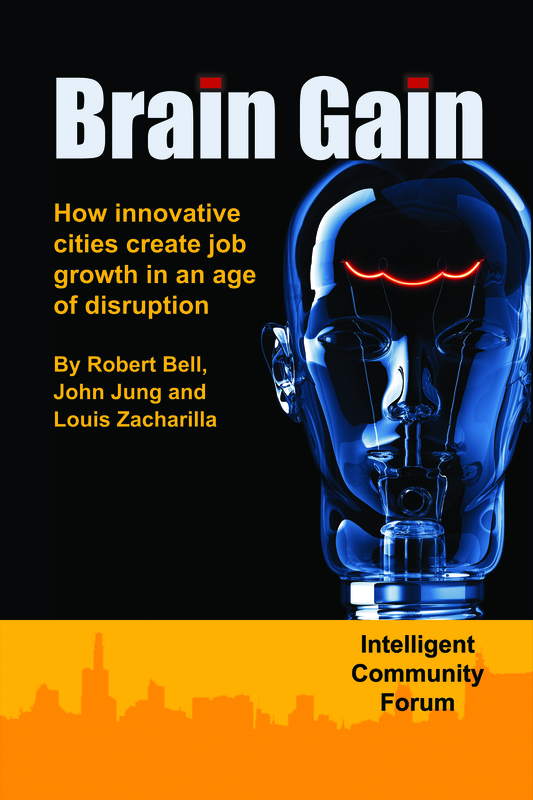 But the FINAL final cut was hugely informed by Bruce Katz – co-author of The New Localism. Bruce gave an inspiring address this last week in the Centre for Cities ‘City Horizons’ programme – so the final cut gave voice to a wider view of networking. Those of us with a background in telecoms are well at ease with the physical (holes, poles and cables) but pay less attention to the connectivity of ideas – the creative fusion when local leaders us their ‘convening power’ to bring talented minds from all quarters to focus on specific local issues. Regular readers may recall that we reviewed Bruce’s work last October in ‘The NEW New Localism’ but now, six-months on, the willingness of folk to hear and understand his messages about the innovative power of communities is far more firmly established. And so, in the nick of time, the final cut for Part 2 of this 9-part series balanced technical takeaways with the creative intellectual impacts. In large part that is why the ICF Summit is so very useful – the components are fascinating but it is in their networking that they become hugely valuable. Next week we are writing about how communities build and maintain a Knowledge Workforce – Part 3 – ‘Where Have All our Flowers Gone?‘ will appear on April 19th – assuming we survive the edit process!